Preheat oven to 375°F. Bake pie crusts for 12 minutes. Chop artichoke hearts and brown lightly in a pan on medium heat for 5-7 minutes. Set aside to cool. Cut roasted red bell peppers into ¼-inch by 1-inch long slices. Set aside. Whisk eggs in a large bowl. Add shallot, garlic, milk, mascarpone, fontina, salt and pepper. Add spinach and artichokes. Mix well. Pour mixture carefully into pie pans. Sprinkle red peppers into mixture, then top with Mozzarella cheese. Bake for 55 minutes. Center will seem slightly underdone, but will continue cooking as it cools. 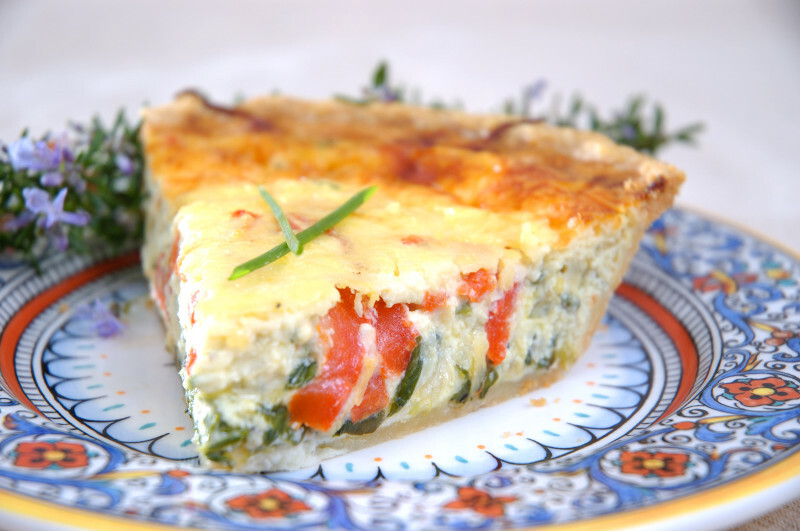 Cool quiche for 20 minutes before serving.